If you seek onlines slot set in the medieval period, then this can be your best pick! Enter the world of magic and mythology as this game transports you to the world of Ancient Greece. You will meet some ancient mythical creatures on your journey as well as the Olympian gods. The reels feature Zeus, Medusa, Perseus, Minotaur, Pegasus, Phoenix Bird, Mermaid, Winged Sandals, Winged Helmet and the Horn of Plenty. The reel itself is an ancient Grecian temple and the blue skies and white clouds float in the background to further immerse the player into the theme. 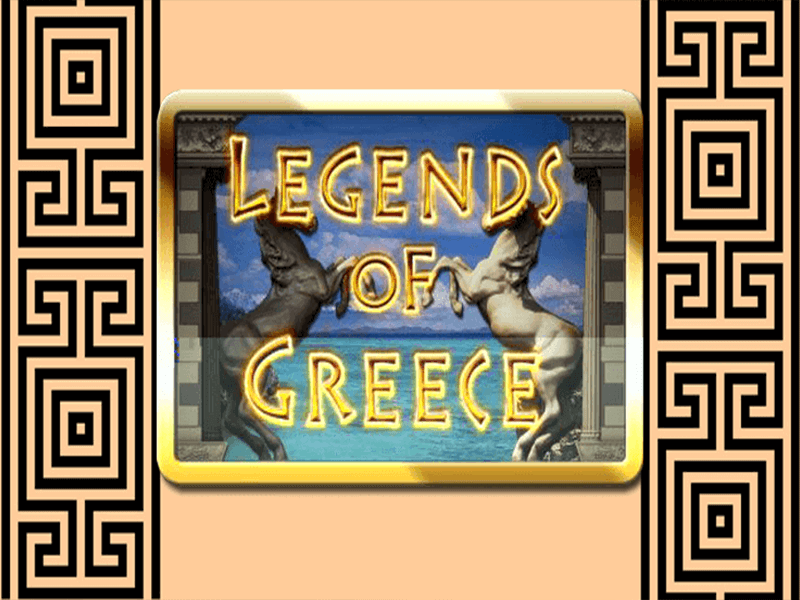 The mystic style audio cements this Greek theme and whisks us away to a magical land as we play this Saucify slots, Legends of Greece. Saucify is a new company on the scene having launched in 2006 as BetOnSoft, but they already are providing a wide range of slots that online casino slot fans are loving. They changed the name to Saucify in 2014. This privately-owned company was set up with the help of private investment. They tend to keep things simple, both in their graphics and free spins bonus rounds, and provide fun and engaging gameplay for players of all levels, gender and ages. This company is dedicated to advance in the area of casino technology and they strive to grow and develop this, in order to provide the best possible gaming experience for the player. Get the best out of our slot promotional offers before you play the game! The Greek gods were similar to us humans in appearance but they had super human powers and lived forever. Despite this they still exhibited humans emotions like anger , jealousy and love and could still misbehave despite their deity status. The Greeks believed that these gods lived high above Mount Olympus in a kingdom of the clouds and kept an eye on what their human creations were getting up to down below. Occasionally they would take it upon themselves to get involved with whatever was going on down below. They might send storms if they were angry and decide who was victorious in wars. Sometimes they even played tricks on humans too. THE WILD SYMBOL: The wild symbol in this online slot game is represented by Zeus himself and he will substitute all other symbols expect the scatters. 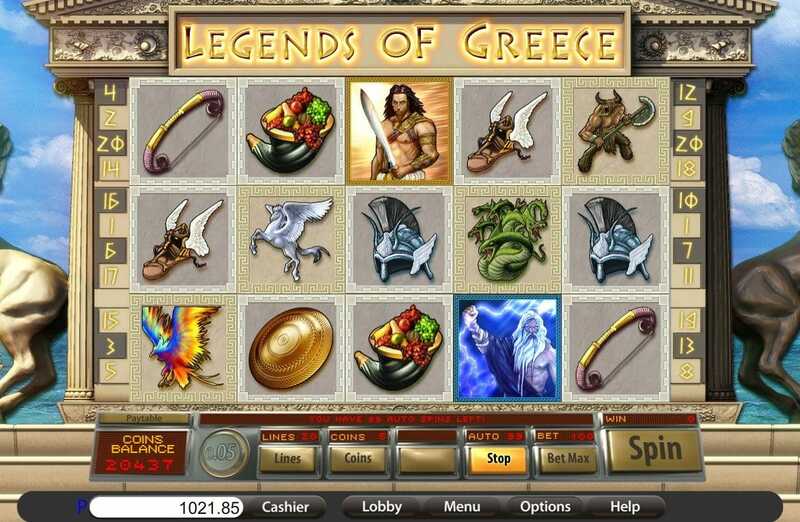 THE SCATTER SYMBOLS: The scatter symbol in this slot game is represented by Perseus. This pays 100x your total spin amount for 5 anywhere on the reels. You also get 20x for 4, 5x for 3 and 2x for just 2 – these are in addition to any regular win-line wins. The other scatter is the Medusa symbol. FREE SPINS FEATURE: When 3 or more Medusa symbols appear free spins are triggered, during which all wins are tripled. Free spins can be reactivated during the feature. 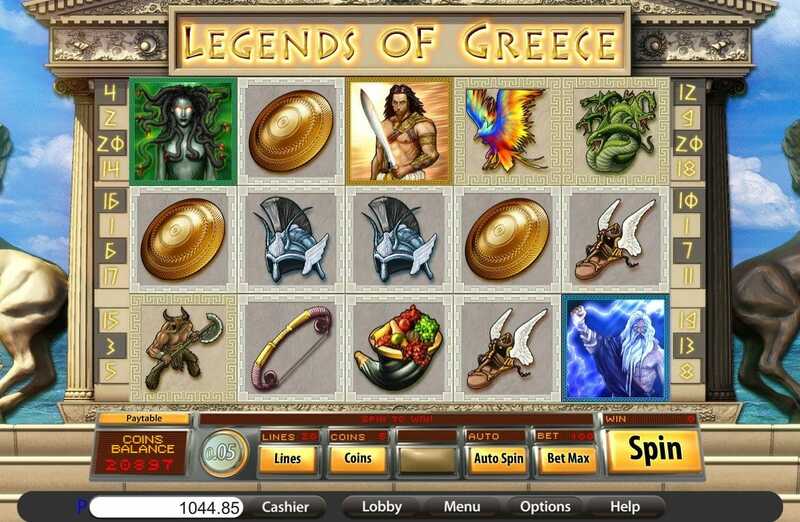 Players who enjoy online slot games with the ancient Greece gods theme will love this online slot game, as well as the free spins feature. If you enjoyed why not try Legends of Olympia.